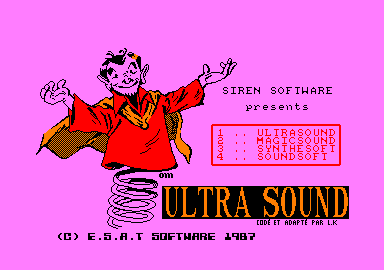 Siren Software have been releasing a steady stream of software over the past year - many of these having originated from France. Indeed, Ultra Sound is the latest product to have swum the seas to adopt the Siren sticker. Ultrasound is basically a sound digitizer and sound effects generator. 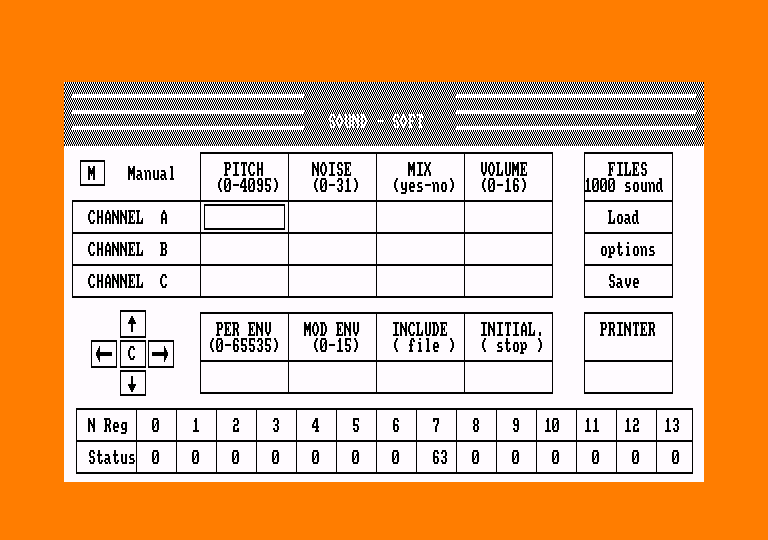 It is split into four parts: Ultrasound - sound digitizer, Magicsound (or Soft-Talk) - software speech program, Synthesoft - turns the computer keyboard into a pseudo synthesizer, Soundsoft - sound effects generator. From Ultrasound any sound (your voice or music, say) can be digitized. 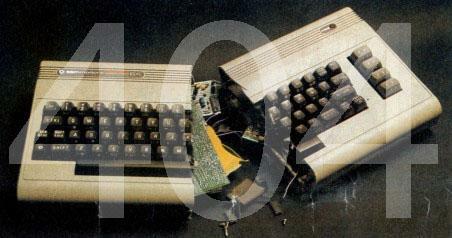 Put simply, this means the computer will store (in its memory) the sounds it picks up from the cassette deck. Once the sound is in memory -of which there may roughly be one minutes worth - it may be played back at a range of speeds, edited, or saved and used later from within your own programs. Editing features include block copy, move and delete. Remember Speech! from Superior Software (reviewed issue 15)? Well, it allowed you to enter sentences in plain English into the computer, and the computer attempted to speak them back - much like the various plug-in speech synthesizers. Magicsound is much like this. It is possible to use this software text-to-speech facility from your own programs via three extra commands: |say, "word" simply translates whatever is inbetween quotes into speech, |centre puts a space before and after the spoken word or sentence. |speed outputs speech at a chosen rate. 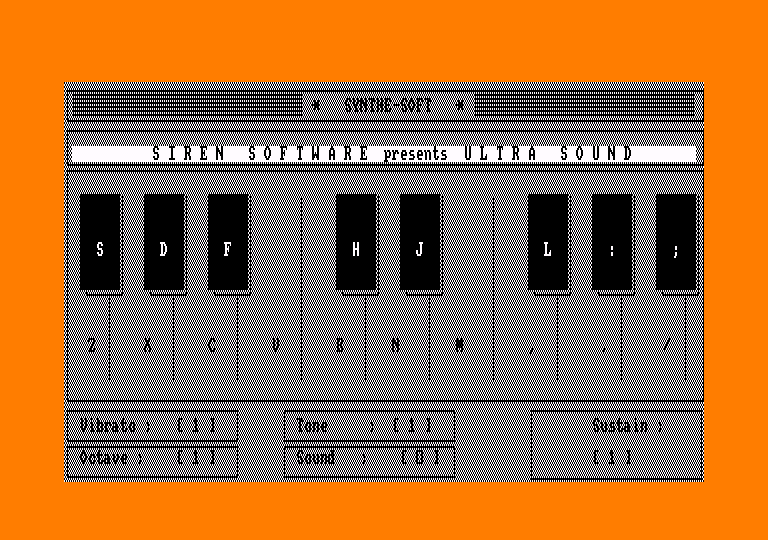 Synthesoft turns your keyboard into an electronic synthesizer. Octave, noise, sustain and tone level can all be altered. If you need to create sound effects, then Soundsoft will go a long way to help. This program lets you manipulate the CPC's sound chip to the full. All the parameters that make up a sound may be modified and tested - and if you come up with some interesting sounds that you wish to keep, these may be saved - which includes pitch, tone, volume, duration, volume envelopes and tone envelopes. All the ingredients for making astounding sound effects are present within Ultrasound Great fun can be had digitizing sound, editing and then playing it back. The sound effect generator is handy for creating weird and wonderful noises. Even the text-to-speech facility has potential in games and educational software. But what really makes Ultrasound shine is that the sounds you create can be used easily from your own programs.